I brought Neville simplified only yesterday and read and listened to everything several times over. I’m in nursing school and today we had a government proctored exam in which there was no way of truly studying for. I was nervous to say the least given my history of what happened last semester. I decided to put this stuff to the test. Last night, I imagined that it was now the night AFTER the proctored test and that I felt content with how I had done and felt at rest. Today, I was oddly calm before and during the test. I even had a ‘voice’ comforting me with each answer I selected. There are 4 levels to score. 0 1 2 3. Our teachers hoped for us to at least score level 1’s and almost fell out of their chairs at the thought of anyone scoring a 3. I’m am so very proud to tell you that not only did I finish first but I got a level 3! Today we are going to share the first few pages of our book, Imagine – Neville Goddard Simplified. Enjoy and if it makes sense and you want the rest, we are almost GIVING it away as an instant download below for just $7 bucks. Enjoy reading the first few pages and the beautiful testimonial below.! Mr Twenty Twenty and Victoria. BOOK SAMPLE BEGINS NOW! Whooo yah! Remember to get your BONUSES in the back of the book – they will ROCK your world and help us help you take Neville Goddard to the next level. 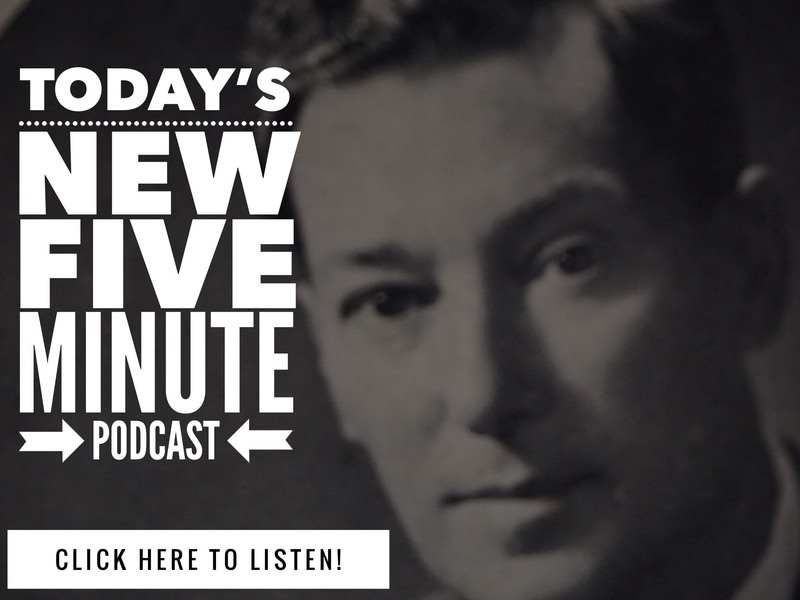 BONUS: THREE Neville Goddard Lectures from the archives. DOUBLE BONUS: THREE Neville Goddard audio lectures – in his own voice, free for readers.. TRIPLE BONUS: Invitation to join and work with us personally in our Neville Goddard Study Group. How this book came into being. Even though I have only been a student of Neville Goddard’s for about 10 years, I feel as if I have known him and his truth forever. My adventure with Neville Goddard, that resulted in the writing of this book and starting the Neville Goddard Simplified project back in 2010 when I was leading a year long program for Neurolinguistic Programming professionals and enthusiasts in NLP modeling. For one solid month, as a group we studied rare recordings of Neville, to determine and isolate his thinking process – so we could duplicate it. We wanted to get not just his thoughts – which are easy to find on paper and in recordings of Neville, but we wanted to peek under the hood – inside the mind of the man – and discover the exact process of thinking that generated these powerful and life changing ideas. Because when you use Neurolinguistic Programming like we do, and enter into the world of HOW someone thinks, and learn their Points of Power – what they presuppose is real – duplicating their results becomes much more likely. So we used THE SCIENCE OF EXCELLENCE to peek inside the mind of Neville Goddard. And what we learned was simple and transformed our lives. For three months before the program, I studied in detail his writings, listened to rare recordings, and researched his life, so we could get to the point where we understood – what he presupposed was true – so that his systems worked every time for us. During that time, something very interesting happened – which changed my life forever. I started by “Imagining Neville”, which is part of the modeling process we teach. Inside my imagination, I was talking with him. Inside my imagination, I was teaching with him. Inside my mind, I was being beside and inside him. I was Imagining Neville Goddard, and I started coming FROM his world. And the insights that I gained – that you are reading here – will change your world and your world view profoundly – just as they did mine. The book you are reading, is short and sweet, designed to simplify the world of Neville Goddard so that you can use his methods with 100% confidence and get the results you want in life. Now who am I to say if those conversations were real by most peoples standards, or if they were just MY IMAGINATION guiding me to get to THE ESSENTIAL and simple core of Neville’s message. All I can attest to is the results we get, and the results our readers and trainee’s have gotten. And finally, you will be invited to be a part of our very special Neville Goddard online community. And we will give you 3 Neville Goddard Lectures – In His Own Voice – for you to listen to anywhere – anytime. What you are about to learn are what we called Neville’s Points of Power. These are what Neville Goddard pre-supposed was true – about himself – about the world – about reality. If you choose to adopt them completely and to eliminate ANY conflicting ideas you might have about reality, you will find that his methods work much more effectively and quickly. 4. The Truth about your body. Your body is part of the universe. And when you imagine to the point when your body responds, you understand that THAT is the first part of THE UNIVERSE responding – to your intent and to your imagination. So instead of praying to an outside God – imagine as God – from the end. So you don’t have to pray – begging or asking or hoping – to an outside God. “God” hears your prayers, before you even say them – because GOD is your HUMAN IMAGINATION. If you have imagined it – you have PRAYED it. 1. Construct an Imaginal Scene – which would imply – the state of the wish fulfilled. 2. Include conversations about how successful / happy / healthy you are. Take it a level higher, by having two kinds of conversations. The first kind of conversation ABOUT you. Imagine two people you know – talking about you – when you aren’t there. Imagine them talking about how lucky, lovely, lively you are. Imagine them talking about how your life has transformed into what you have CREATED. The second kind of conversation includes YOU and THEM talking. Hear yourself describing how things have changed, hear them asking you questions about how it all happened. Hear yourself describing things that you did, and MIRACULOUS things that just “showed up out of the blue. And have ALL INTERNAL CONVERSATIONS be about YOUR SUCCESS AND MANIFESTATION. REMEMBER – You get bonus points if you play “The End Game” which you will be learning later. 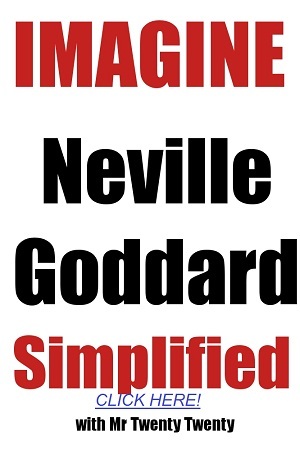 Thank you for reading this sample from Imagine – Neville Goddard -Simplified. Just click below to order the complete book now! READER’S TESTIMONIAL: “Dear TT and Victoria, This e-mail is just to thank you for the beautiful, simple and powerful book. I have been reading Neville at least for the last 2 years and only when I bought this book I understood what our body is and how the law operates and the suggestions about the inner conversations! wowwww… I did what you suggest in the book and in the e-mails, this time I changed only this: took a single act, in my case I saw and listened and felt my sister saying “I am so happy because of your success. I am proud of you”. I took my sister, someone non involved in the reality I want to change..I repeated the scene 1000 times and spend my days creating conversations in my mind as you suggeste in the book….and I can say that: a) I felt and feel better, I dont feel anxiety at all. b) Saturday morning I received an non expected phone call to offer me 2 customers for my new business activity. c) Saturday in the afternoon in a very amazing way someone that I dont know arrived to my life offering for free the super beautiful house he has for a shooting that I will do in october (I was looking for a place without success). d) spend a week end full of nice moments with friends. I did not make phone calls, no e-mails, just relaxed and lived my time thinking about what I want, making the exercises of your book. I dont know what to say, some people could say that I would received the phone calls anyway…I dont know…. Anyway…thanks…everybody trying to learn Neville should read this book.” – G. in Italy. 8 Comments on "Neville Goddard Simplified – Essential Keys to Mastering Neville Goddard"
Thank you Char! Writing Neville Goddard Simplified was a ton of fun, and we are loving the responses we are getting. What was the most powerful insight you got from it? Just felt drawn to share this with the two of you since I now know that you have NLP in your background. I was one of Tony Robbins top trainers for five years in La jolla, CA. In fact, I was the one Tony would send out when clients couldn’t afford him. Amazing experiences to say the least! Tony and I would often get together at his castle for talks and considerations and such. One day I approached him with the idea of inspiration rather than motivation. Even though he appreciated what I was sharing and my enthusiasm about living an inspired rather than motivated life he wasn’t going to change what he was offering the masses. A few months later we departed company as friends of course. I had my new direction in life to follow. Now, I see that Tony has incorporated inspiration into what he offers. I’m feeling it may be time to get back together with him. Feeling into that one. He made some promises to me that weren’t met and since we are both beings of integrity and both breathing, it just might be good for both of us to have those promises fulfilled. Anyway, just thought I would throw that info out to the two of you, so you know a little of my background. It just might be interesting to play together with the two of you as well. I guess we’ll all feel into that one too. Not sure how to help, we do have people in India who have bought it from the site or from Amazon Kindle. “Neville Goddard Simplified” and you’ll find us happy as clams.